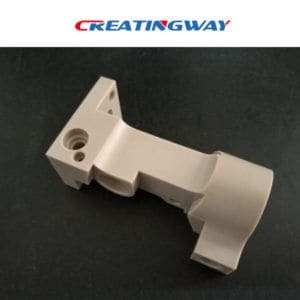 greatly reduce the processing difficultly and save machining time, so currently, more and more designer have make their innovation design with rapid prototype process for appearance and function sample for testing before mass production. In Manufacturing, rapid prototyping is used to create a three-dimensional model of a part or product. In addition to providing 3-D visualization for digitally rendered items. It also can be used to test the efficiency of a part or product design before it is manufactured in larger quantities. Provide the product construction, appearance and size. Quickly turnaround, economic production process. 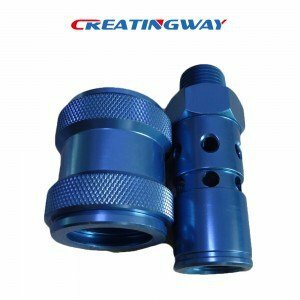 Creatingway can quickly and economically produce all kinds of small precision parts with rapid prototype machining technology. We have own professional technology and development team, also has equipped more advanced facilities like high speed CNC, precise EDM, CNC machining lathes for metal parts. We can effective and rapid get you reasonable proposals for review before production. We are always striving to provide the premium quality and service to our customers. With our State-of-the-art technologies we will be capable of meeting your requirements and expectation with our high quality service.